With the new year often comes renewed fitness goals. If you’re like me you may be on the lookout for a fitness gadget to help keep track of your progress, and to help motivate you in your fitness efforts. So, is the Samsung Gear Sport worth it, and will it assist in reaching your fitness goals? For me, it excelled – and is hands down one of the best fitness gadgets I’ve ever utilized. First, this isn’t an in depth fitness review. 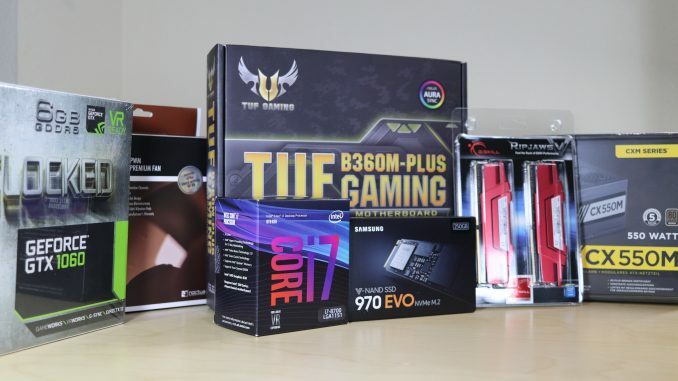 This is a tech blog, and I’m your standard issue tech guy. I wasn’t involved much with sports in school, I’m not much of a sports enthusiast, and fitness isn’t exactly at the top of my priority list. I code a lot, and provide technology solutions, both of which tend to involve a lot of sitting. Over the years – that hasn’t led to the best outcomes. So moving into the new year I found myself about 19 pounds overweight and relatively out of shape. I’ve tried a variety of fitness trackers and smart watches over the years – various fitbit models, the MotoGen 2, etc. They gave me some insight into my steps and heart rate, but nothing that ever propelled me forward into taking things more seriously. The Samsung Gear Sport is different. Not only is it a solid piece of hardware, it’s paired perfectly with Samsung’s simplified Tizen OS, and the excellent Samsung Health application. 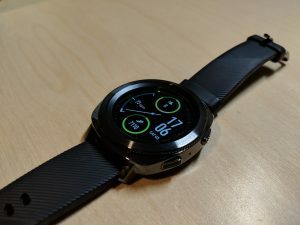 These three things combined result in an excellent fitness smartwatch experience, providing you with a wealth of fitness data, and arming you with fitness techniques to achieve your goals. The Samsung Gear sport is a step above other fitness gadgets I’ve tried in the past. It’s comfortable and wears well. I’ve worn it every day for the last month, including at night for sleep tracking, with zero issues. As it’s waterproof enough for swimming, you can even shower with it if you wanted. The screen is gorgeous – so much so that others have commented on how bright, crisp, and clear the display is. Everything is vivid, easy to read, and looks great even outdoors in the sun light. Pictures on the watch are comparable to when viewing on my phone (albeit smaller). The rotating front bezel is intuitive and natural. It just makes sense – and you’ll be spinning your way through a variety of the watch’s options and settings. The watch bands are standard 20mm and can be easily swapped out to make the watch match any style or occasion. Battery life isn’t the best, with 2 days being a realistic expectation before a charge is required. If you’re wearing it as just a watch and with certain tweaking it can go much longer – a week even. But using it as a true fitness device to track workouts, runs, etc – I’ve found 2 days to be a reality. Overall, no complaints – it’s the best piece of smart fitness hardware I’ve ever used. Samsung smartwatches don’t run Android Wear. 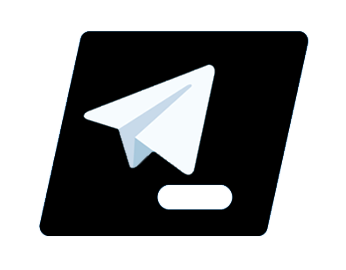 Samsung has developed it’s own mobile operating system named Tizen. I was very skeptical about this going into this purchase. As this is not native Android you lose out on quite a bit. You can’t install native Android Wear apps, and you miss out on the Google Assistant. Samsung’s app store is very bare-bones and the Samsung S-Voice feature and assistant Bixby are just bad. Those sound like pretty clear detractors, but this is what I found after a month of use: It didn’t bother me as much as I thought it would. What I’m finding as I try more smart wear devices, is that I don’t need a large app ecosystem. I need a few apps that work very well – and this is where the Samsung Gear Sport excels. Tizen has a lot less options than Android Wear, but what it does have, it does very well. I found myself coming to appreciate this over the last month instead of having hundreds of smartwatch apps to choose from. The Samsung Health app is what ties this all together and elevates a great product to a truly excellent one. Syncing data with the Samsung Gear Sport is fast, and effortless. Over the last month I haven’t had one hiccup. While not perfect, this is one of the best fitness apps I’ve ever used. It has an intuitive and well designed layout. You get step, sleep, heart-rate, weight, and calorie information at a quick glance. The app also easily displays daily, weekly, and monthly trends around all of this data giving you a great amount of insight into your progress and overall health. 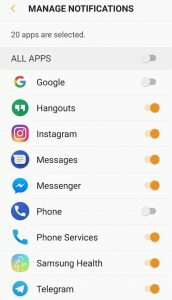 There is a social element to Samsung Health, but I don’t have any friends or co-workers using it currently, so that wasn’t something I could try. 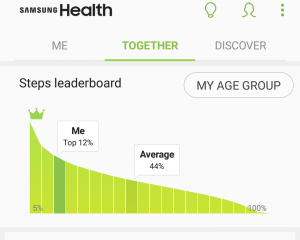 I did enjoy the Global challenge, competing against Samsung Health users worldwide added some light fun to racking up steps. I also liked seeing where my steps ranked against all other Samsung users, as well as just users in my age group. What made the most difference to me overall though, was the customized profile and tailored fitness programs made available through the app. After a brief setup your profile begins setting you on a path towards fitness success. Based on your information it tailors weight goals, proper calorie intake per day, recommended daily steps, and fitness programs. 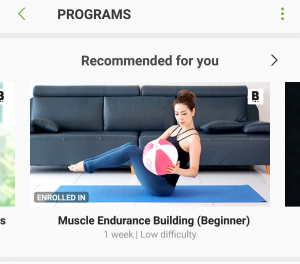 I was impressed with the number and quality of fitness programs included with the Samsung Health app. For someone like me, who doesn’t have a lot of fitness knowledge, I found them pleasant and effective to use. Based on your fitness goals in your profile several programs will be recommended to you. You can elect to complete these or spring for another program you find interesting. Each program greatly simplifies a workout. Each exercise in the routine demonstrates how a movement is supposed to be properly performed. You’re told how many reps to do, for how long, when to take breaks, and everything else you need to successfully complete a routine. There is no talking, which is a welcome change in my opinion. You simply use your phone during routines and follow along with audible beeps letting that guide when to start an exercise. Even better – all of the programs natively integrate with the Samsung Gear Sport. During a routine, it will track your heart rate and display it on the workout that you’re watching. If you don’t want to use your phone, no big deal. 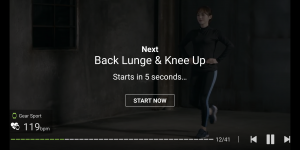 Each stage of the exercise is synced to your watch. It will vibrate and tell you what you need to do during each phase of the routine. Hats off to Samsung. This is exactly how it’s supposed to be. 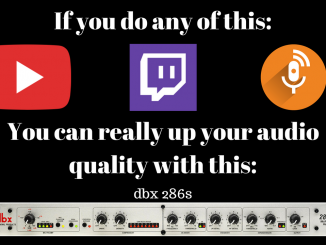 Technology simplifying a process and making it easier to do. For those of us who don’t have a lot of fitness experience, and aren’t going to spring for a personal trainer – this is an ideal solution. Over the last month I have had a blast trying out the different programs. You simply start one, it schedules what days you will exercise, gives you rest days, and just makes workouts simple. The Samsung Gear Sport is a great piece of fitness hardware paired with the excellent Samsung Health App. The screen is beautiful, and the overall design is pretty sharp. It’s comfortable, and easy to wear. The data insights are great, and keep me motivated to do better. There is room for improvement here. The battery life could be better – but it charges fast on the dock – and is back on my wrist in short order. There is also some known cheating issues with the Global challenges, which Samsung has yet to address. I also wish Samsung Health had the capability to sync with other fitness sources, like Google Fit. I also think there is a bug with the calorie counter. Overall, in the first month I’ve had great success with this device. I’ve got another round of Samsung fitness programs picked out for next month and I can’t wait to be jumping, squatting, and lifting to another successful month. This fitness tech has definitely had a positive impact on me at the start of this year, and I think stands a good chance of doing the same for you.